With the continual advancement in digital technology, there are many who argue that traditional print is dead. This couldn’t be further from the truth with the vast majority of commercial printers offering their customers both digital and lithographic processes to choose from. Despite the plethora of advances within the industry, there is still a major demand for traditional techniques which deliver the quality finish our customers crave. That’s not to say there are some positives and negatives for each technique! The lithographic printing process has evolved the 15th century. PIUK have invested heavily in both its printing and finishing capabilities, offering greater control throughout production. Even with modern technology at our fingertips, the core principle remains the same: the application of pressure to an inked surface resting on paper which produces a high-quality print. Need versatility, no problem! PIUK can print up to 1mm thick across different paper and board substrates. Digital printing is an extremely popular alternative to lithographic printing, utilising the latest, most sophisticated digital presses we achieve a super-crisp finish. With no added drying time; digital is the perfect option for those tasks with tight deadlines! Are you utilising variable data printing? You certainly should be! VDP allows for the customisation of individual graphics or text on a print by print basis. The benefits of targeting your marketing efforts as accurately as possible are well documented – if you send an email campaign you address your customer by name, so what not with printed collateral? Digital printing consumables can be costly, which is why utilising a commercial printer like PIUK that has the ability to produce Digital and Litho projects in house is more cost effective. 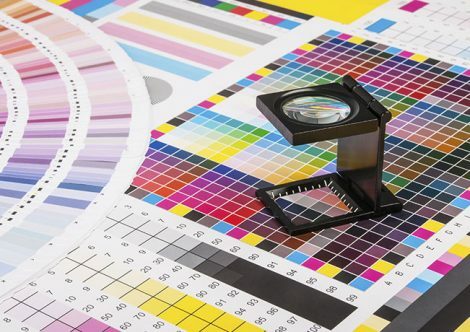 Both litho and digital printing methods each have their own individual merits – there is a reason why they’re both still being used by printers across the world. Deciding which method is best for you depends on a variety of factors, such as; turnaround time, run size, budget etc.